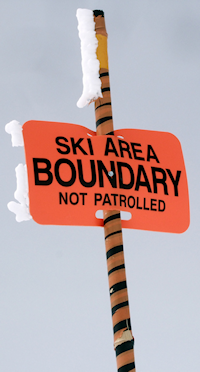 Frank Carus, Avalanche Specialist and Director of the Mount Washington Avalanche Center will present a session on “The evolution of avalanche forecasting on Mount Washington.” Flying in from Colorado is Brian Lazar, the Deputy Director of the Colorado Avalanche Information Center. 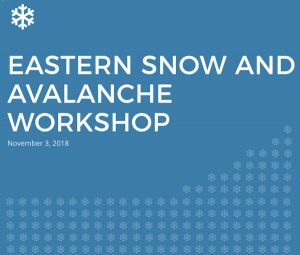 He will present two sessions on the topic of “Avalanche Forecast Ratings and Avalanche Problem Types.” Other speakers presenting will be Eric Kelsey, Associate Research Professor at Plymouth State University and Ryan Matz, Avalanche Specialist at the Mount Washington Avalanche Center. This year’s keynote speaker is Dr. Elizabeth Burakowski, Research Assistant Professor, Earth Systems Research Center & Institute for the Study of Earth, Oceans, and Space at the University of New Hampshire. Her topic will include “Regional Winter Climate Change Impacts and Citizen Science Snow Observations.” Several moderated panel discussions will be arranged covering avalanche-related issues. The event will end with an evening social reception.